El Valle de Anton also known as Anton Valley is the largest inhabited volcano crater in the world, an to appreciate it fully, it is best to climb one of the hills close to town to admire the classic shape from above. When in the area, we did three hikes: La India Dormida, Cerro Gaital Trek and the last one, shortest and easiest we did was Cerro Iguana Hike. 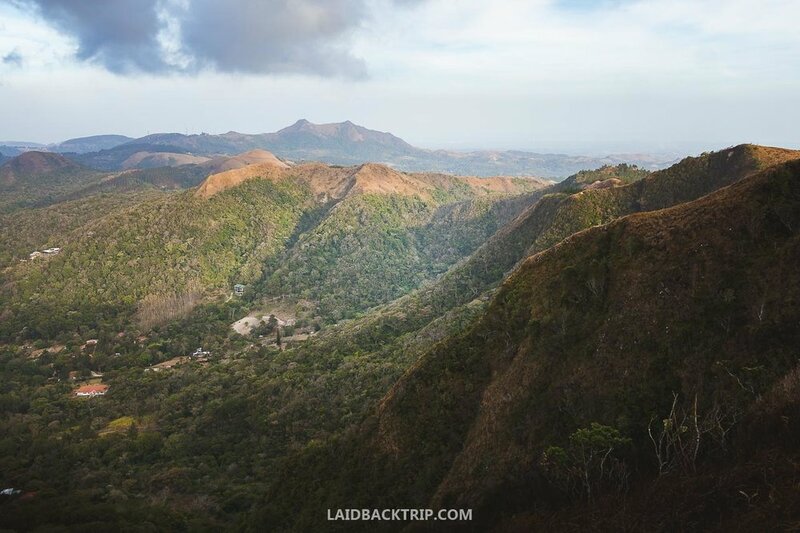 Hiking Cerro Iguana will give you yet another perspective of the area, and if you are an outdoor enthusiast, we surely recommend you include El Valle de Anton on your Panama travel itinerary, as there are many things to do (other than hiking as well) which can easily keep you busy for days. The hike starts at the southwest corner of El Valle de Anton: there is a path and Maps.me app will lead you to the trail's beginning safely. 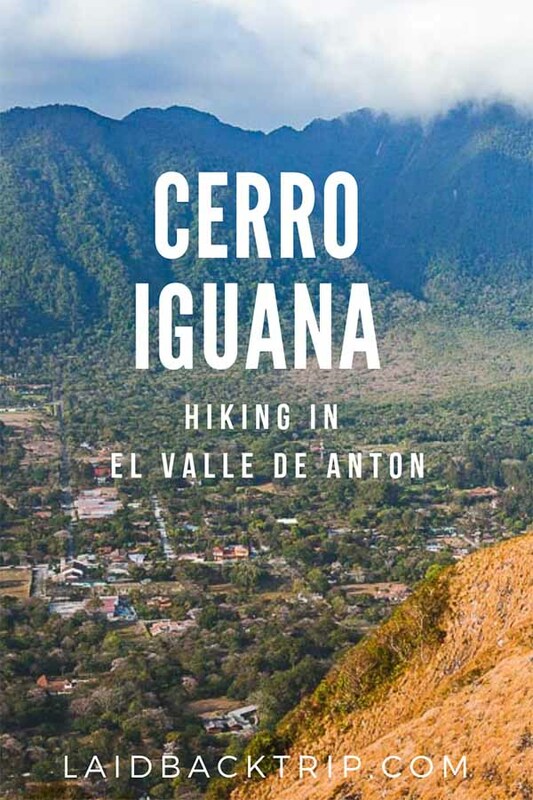 It depends on where are you staying in El Valle de Anton, but it takes approximately 30 to 40 minutes walking to reach the actual start of the trail when staying in the town's center. Quite a long part of the trail (from the town) goes on an unpaved road, so you can also cheat a bit and skip the less interesting part, and either use your rental car, take a cab or jump on one of the infrequent collectivos. As we didn't have a car and wanted to save some money, we walked all the way up. Follow the road until you reach a sign announcing the start of the trek (there is also a small concrete building on the left you must pass). We believe that the small concrete building you will pass at the end of the unpaved road was once designed to collect money from hikers, but nowadays, there is no entrance fee in order to get on the trail. We did not have to pay to enter any of the hikes in El Valle de Anton area, even though we traveled in Panama in high, summer and dry season which lasts from December to April. When you walk from the town, the path is wide, but once you get out of the central area of El Valle de Anton, the paved road becomes unpaved, and before you know it, you'll start climbing up. Watch your steps, stones on the road are slippery, even when it is dry and dusty. The climb up was not that long, but it was steep enough to make our heart rates speed up. Once you reach the sign announcing the start of Cerro Iguana Hike, you will leave the road and continue climbing up the hill on your left, but now the incline is milder and also shorter, and soon enough you will emerge out of the forest, and now you need to follow the narrow path through grassy land to the main viewpoint. It takes about an hour to reach the summit and a bit less to walk back to El Valle de Anton, so you can plan this hike for late afternoon or even for sunset if you wish. We think that El Valle de Anton is a safe place where you can hike without fear but as usual use your common sense. It is not necessary to hire a guide unless you want to know more about the area and flora and fauna. It depends on what season are you traveling in Panama, but generally, it is quite warm in El Valle de Anton all year round. Wear sturdy shoes and remember that the trail can get muddy, especially in the rainy season from May to November. Bring at least one liter of water per person and rain or windy jacket just in case - it is pretty windy in El Valle de Anton.